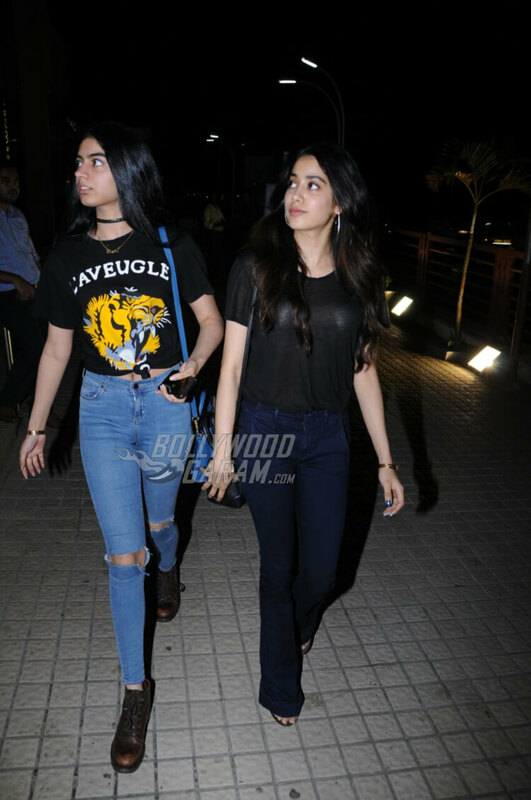 Exclusive Pictures of Jhanvi Kapoor - A Star in the Making! 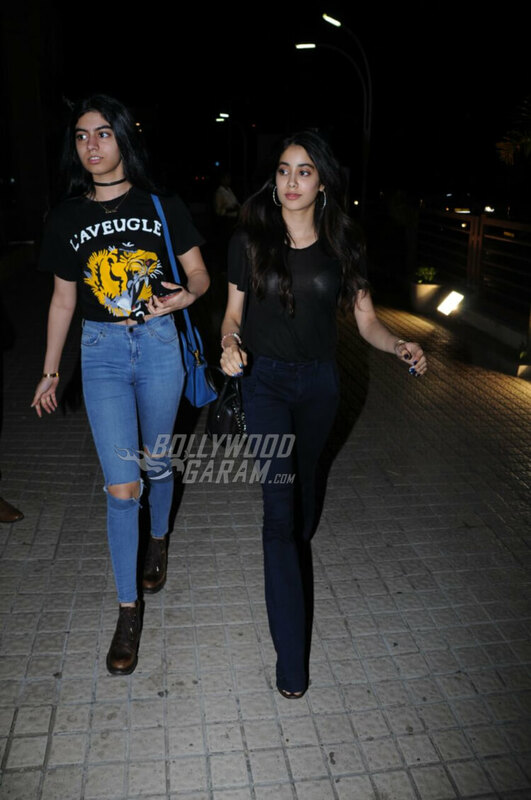 Home Gallery Exclusive Pictures of Jhanvi Kapoor – A Star in the Making! 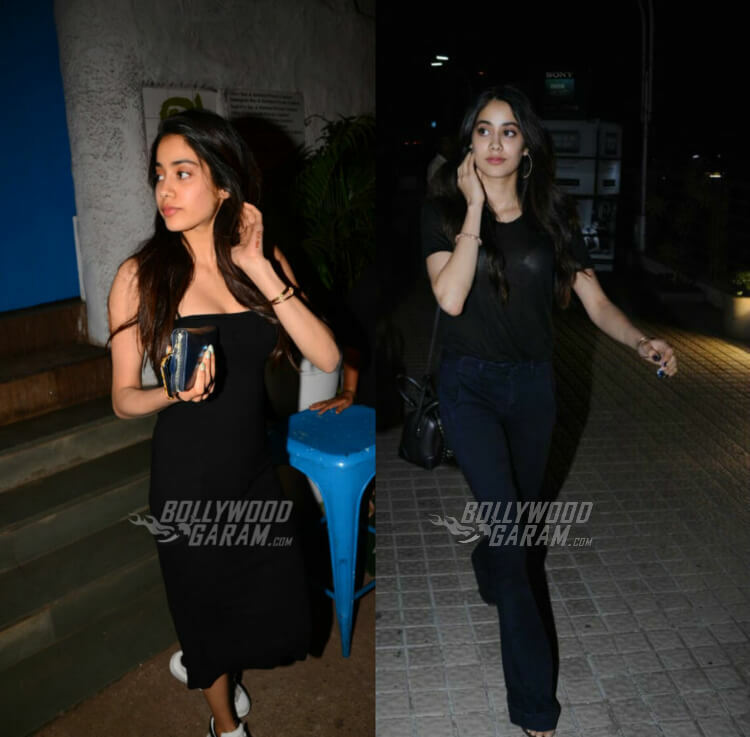 Exclusive Pictures of Jhanvi Kapoor – A Star in the Making! Latest pictures of Jhanvi Kapoor confirm that she has it in her to make it big in Bollywood! Sridevi’s daughter Jhanvi Kapoor is all set to make her debut in an upcoming project by Karan Johar and we are eagerly awaiting official confirmation of the same from Dharma Productions. But meanwhile, we couldn’t help ourselves from checking up on what the diva is up to these days! Jhanvi and sister Khushi kept is pretty casual. While Jhanvi wore lose fit jeans paired with a black tee and statement earrings, Khushi wore blue ripped jeans paired with a graphic printed crop top. She completed her look with a black choker and brown ankle length boots. 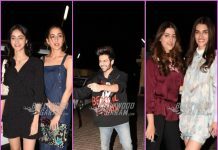 The two were one their way to the special screening of Badrinath Ki Dulhania. Last week we caught up with Jhanvi Kapoor at Mehboob studios too! Was she shooting there? Sadly not. Looks like she stopped by along with mother Sridevi to pay dad Boney Kapoor a quick visit at work. For this outing she chose to wear a sizzling black midi dress and paired it with classic white sneakers. With no accessories, minimal make-up and free flowing tresses, she looked every bit the diva that she is! Anybody notice that tattoo on the side of her left hand? There’s some serious airport fashion going on between the three Kapoors! And that’s Jhanvi Kapoor belting out thumkas like there’s no tomorrow! The video also features her rumored boyfriend Shikar Sariya. And here’s Jhanvi doing what she does best – being a diva! What do you think about Jhanvi Kapoor? Let us know in the comments below!